Wash away your pet’s troubles with the Adams Plus Flea & Tick Shampoo with Precor. Not only does this shampoo fight off fleas and ticks, but it’s enriched with oatmeal, coconut extract, lanolin and aloe—which leaves the coat shiny, clean and pest-free in a single lather. And in addition to cleansing and deodorizing, it will continue to prevent flea eggs from hatching for four weeks, which helps to break the life cycle and prevent re-infestation. 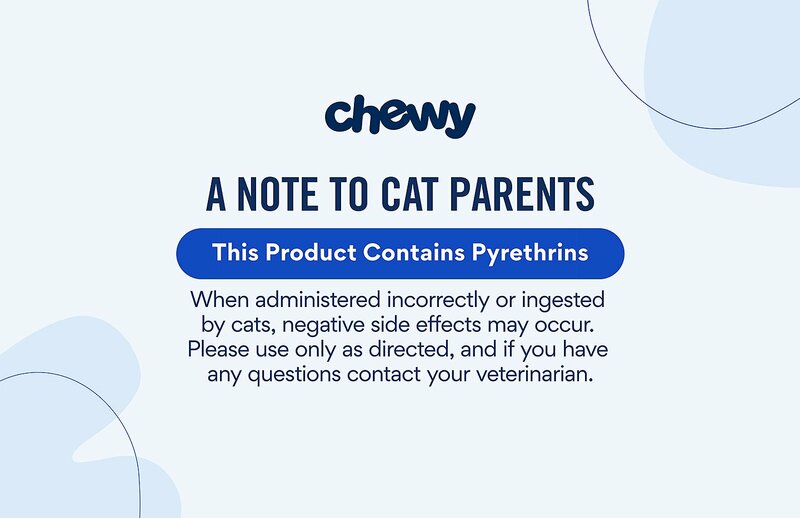 Plus, it’s safe for use on dogs, cats, puppies and kittens over 12 weeks, so one bottle is all you need for a multi-pet home! Shampoo kills adult fleas, flea eggs, ticks and lice on contact to give itchy pets a break. Active ingredients continue to kill flea eggs for 28 days to break the life cycle. Contains soothing aloe, lanolin, coconut extract and oatmeal to leave the coat shiny and manageable. Also works to cleanse away dirt and debris while deodorizing with a clean scent. Safe for dogs, cats, puppies and kittens over 12 weeks; great for multi-pet homes. KEEP OUT OF REACH OF CHILDREN. See back panel of product for additional precautionary statements. Pyrethrins: 0.15%, S-Methoprene: 0.10%, Piperonyl Butoxide: 1.88%, other ingredients: 97.87%. This shampoo may be used full strength or diluted with 2 parts water. Thoroughly wet your pet with warm water. Do not apply shampoo around eyes. The total amount of shampoo to be applied is 1 1/3 tablespoons for each 5 lbs of pet’s weight. Estimate the total amount of shampoo needed for your pet, then apply shampoo along the back of pet. Work well into coat starting at the head and working back. Spread lather to include head, neck, legs and feet. * Continue to work lather in over the whole pet for 3 to 5 minutes (this is an important part of the grooming procedure). After lather has been worked in over the entire pet, rinse pet thoroughly with warm water. For extremely dirty or scaly animals, the above procedure may be repeated. Repeat every 7 to 10 days if necessary, for adult flea relief. Flea egg hatch inhibition will last for 28 days. Adams pet care products include flea and tick topical solutions, shampoos and sprays for your home and yard that have been sold by veterinarians for over 30 years. By taking a smarter approach to flea and tick prevention, Adams offers various solutions intended to treat both your environment as well as your pet. The easy-to-use formulas will effectively protect your family, pet, home and yard from infestations and eliminate any current problems quickly and conveniently. Rest easy knowing your family, home and pet will be safe from fleas, ticks and other pests with Adams pet care products. Provide the best possible at-home care for your pet with Adams shampoo, dip, spray and topical treatments specifically formulated to repel and kill fleas, ticks, mosquitoes and other pests. Each solution will provide instant relief from biting fleas as well as eliminate flea eggs laid on your pet, which breaks the flea life cycle and prevents future infestations. With just a few simple treatments, you can enjoy the continuous protection against pests while simultaneously soothing your pet's discomfort and irritation. Adams Plus Flea and Tick Shampoo with Percor is enriched with oatmeal, coconut extract, lanolin and aloe. This formula effectively keeps pests at bay while keeping your pet's coat shiny and manageable. Adams d-Limonene Flea and Tick Pet Shampoo is a non-alkaline formula that consists of a botanically derived insecticide to successfully get rid of pests on your pet. Condition irritated skin and provide several days of protection with Adams Plus Pyrethrin Dip. Just dilute the solution with warm water and apply to your dog's coat without rinsing. Use Adams Plus Flea and Tick Spray to prevent your pet from bringing in unwanted pests after outdoor play. Simply apply a thin layer to your pet's coat for long-lasting flea and tick protection. Adams Plus Flea and Tick Spot On treatment repels mosquitoes and kills flea eggs, flea larvae, adult fleas, adult ticks, tick nymphs and tick larvae, while providing 30-day protection from infiltration. The included Smart Shield Applicator allows direct application to the skin that helps pet parents treat their pets better and with less mess. Treating your home is an essential step for complete flea and tick protection. With carpet solutions in both spray and powder form, you can attack fleas and ticks at the source and effectively make your home a pest-free zone. 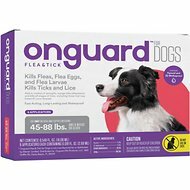 The carpet powder contains Linalool and Nylar to help kill the life cycles of fleas and ticks, and can provide protection for up to 30 days. The spray solution has an Insect Growth Regulator to kill the adult fleas and prevent flea larvae from developing into biting adults, and can provide protection for up to 7 months following just one application. It's likely that the area most susceptible to pest infestation is your own backyard, so it is essential to include lawns, trees shrubbery and flowers in your treatment plan. Adams pet care products offer user-friendly yard sprays that kill and repel fleas, ticks, mosquitos, ants and crickets for up to 4 weeks. This preventative product treats up to 5,000 square feet, is safe to use and is non-staining. Adams' line of pet care solutions has been sold by veterinarians since 1975, and includes award-winning flea and tick treatments for dogs and cats, as well as various sprays to make your home and yard pest-free. 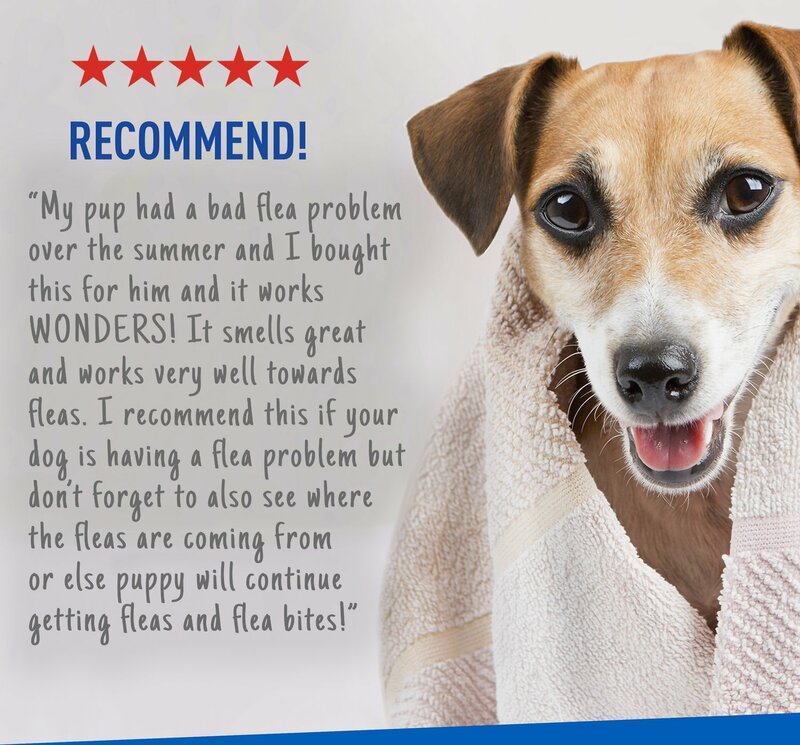 Take the smarter approach to pet care with the trusted solution for flea and tick prevention. I have been using Adams for over 15 years. It’s my go to shampoo for all my dogs and cats. I use on Chihuahuas, my Rottweiler and my 2 Aussies they all differ in size and it work great on all of them. I have not seen fleas or ticks on my dogs in years. I have pulled ticks off my cocker before but we live in Oregon half the year and he would love to explore the redwoods and forests and he always seem to find the ticks when he was alive. I truly back this product I had to stop using over the counter Hartz oatmeal my chihuahuas always had seizures after using hartz and other cheap brands. My cats started scratching and biting themselves. Turned out they had fleas. Used a product from local store. It made their fur nice and shiny but didn't do much for the fleas. Purchased this shampoo from Chewy. Same results. However, this shampoo stunk! Now so do my cats!!! I won't be using it again. Can't really recommend it because of the odor. I've been using this product for a year or so. I'm not sure if he has fleas, I'm only going by the scratching and that a previous cat of mine had them plus he's an indoor cat but I absolutely love the smell. It lasts about two weeks. I had found a very dirty sick feral kitten and needed to get it clear of mites so I saturated her with unscented babyoil let it set for about an hour and mixed this with some dawn dishsoap suds her up rinsed her down with no soap soaking and was completely clear of ALL mites and less than 3 fleas that I could count. ~ and smells nice. Love the smell does everything it says! My dogs love the smell too! It’s perfect because my dogs are always having allergic reactions to other flee and tick shampoos, but their skin loved this one:) totally recommend it!! 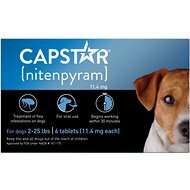 I love this stuff for my 15 week old puppy. It smells great and doesn't dry out her skin too much like some other products I've tried. I've washed me dog 3 times with this shampoo. My dog still has fles. I'm hoping 3rd times is the charm. But she is still inching. She smells good longer. When used following directions, killed all visible fleas. Easy to use. Rinsed out well from my Maltese baby. Smells So Good, You'd Never Know It's A Flea Shampoo! This shampoo works so well. It does what it claims to do, easily wiping out any fleas that your dog picks up while outside. It smells really great too, and the scent lasts for a while! 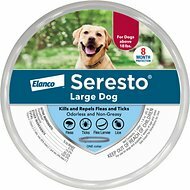 My dog has sensitive skin and this is very gentle for him. Also, a little goes a long way.